Clean the clams. Squeeze out the dirt at the tip of the clams using a toothpick. Wash thoroughly and squeeze out the water. Heat oil and saute onions, curry leaves, coconut slices, ginger and garlic till onions start to brown at the edges. Add all the powders and saute for 2 minutes on medium flame. Add Kakka Irachi and mix well. Cook covered for 10 minutes. Remove the lid and fry till all water dries up. 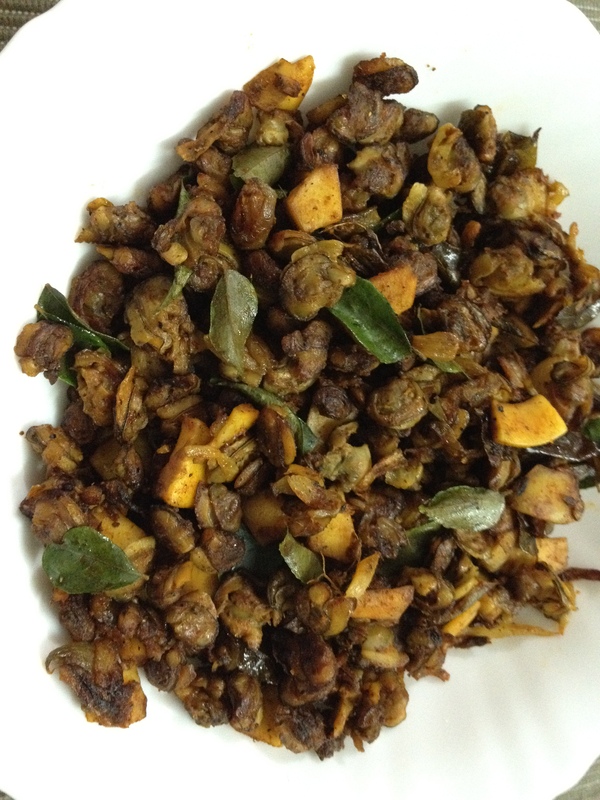 Serve with chapathi or better still parotta. Yummy. 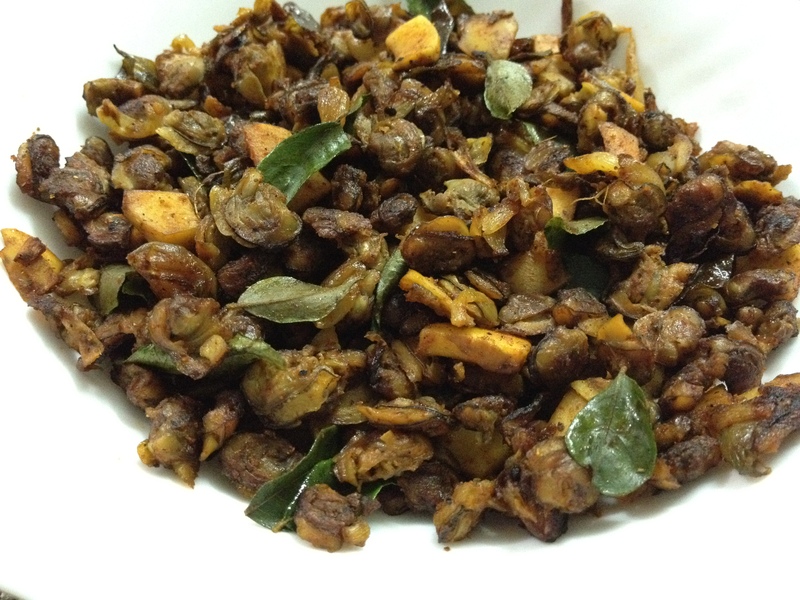 This entry was posted in Non Veg: Fish/Shellfish and tagged clams roast, kakka irachi ularthiyathu by PriyaBaby. Bookmark the permalink.